Taken from inside my kitchen, Monday morning. Love these finches. 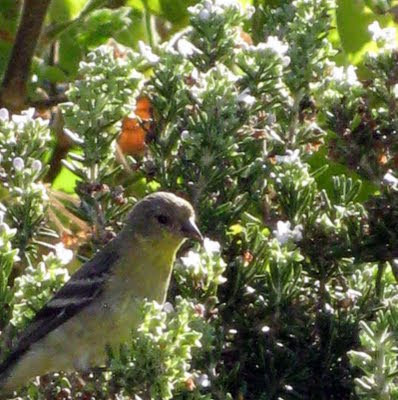 I think I also posted finches on my birds blog. Did you just fill the feeder? That's what happens when I fill mine, all the birds come out of nowhere! 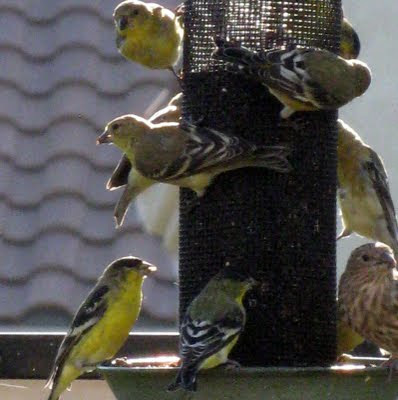 I miss my finch feeder. Super shot Jan.
Ooohh that is so cool Jan. I miss having a bird feeder!